Toronto singer/rapper Drake has only released three studio albums, with the most recent project dropping today (September 24), and already the Young Money artist has reached fame close to that of his mentors. Drake went on to breakdown that specific line as he spoke on observing his mentor Lil Wayne from the sidelines and then eventually becoming the Young Money helmsman’s rap equal. 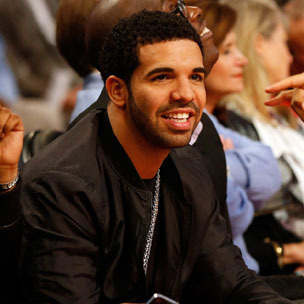 In the past year, Drake has collaborated with a number of artists including Justin Timberlake and Jay Z, who is featured on the Nothing Was The Same record “Pound Cake.” Drake appears alongside Timberlake on the crooner’s The 20/20 Experience: 2 of 2 track “Cabaret.” And according to Drake, it was an invite from Beyonce that helped the rapper link up with Timberlake. Drake’s interview with Seacrest can be found below (via 2DopeBoyz).